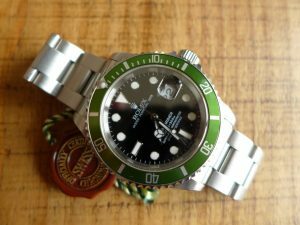 Hands on with aka the “kermit” Rolex Submariner 16610Lv vs the newer aka “Hulk” Rolex Submariner 116610Lv Ceramic both these watches are great watches loved my many. 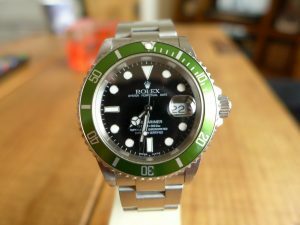 The kermit was launched in 2003 and finished production in 2010 when Rolex launched the Submariner Hulk version. 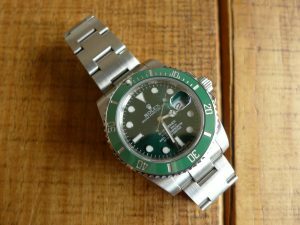 I remember in 2003/4 the kermit was not blowing people away looked a little odd with green bezel compared to the standard version that been same for 50 years, but in recent times become highly collectible. 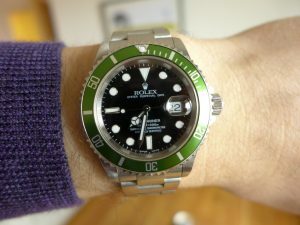 But personally I love nice olive green bezel compared to the ceramic bezel. 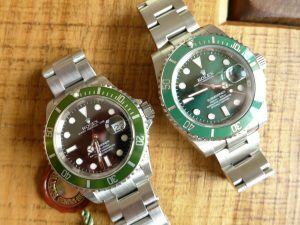 Both watches have bigger hour plots and hands as the standard Sub never did but they rolled it out to all Submariners and various other models after 2010. 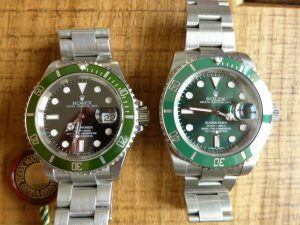 Side by side both 40mm case size but the Hulk has bigger shoulders so makes the watch look and feel a bit bigger on the wrist than the Kermit. 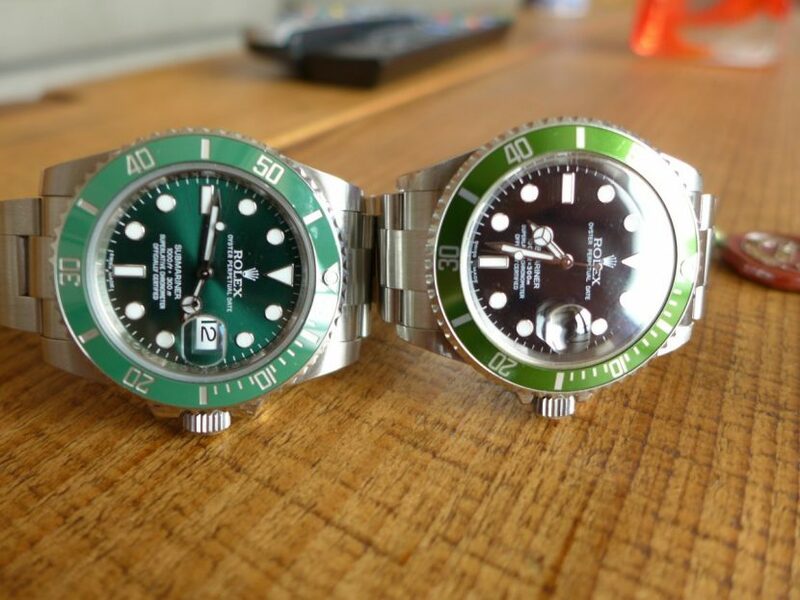 Both watches are same in thickness on the profile picture, Rolex lovers like both models I personally prefer the older model as very old school. 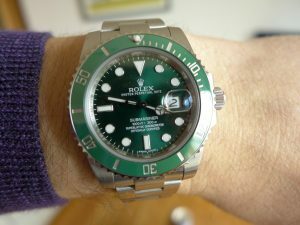 but the dial and bezel is one of the big changes Hulk has ceramic bezel with green dial which changes in different shades of light. The Kermit has black gloss dial with steel bezel. 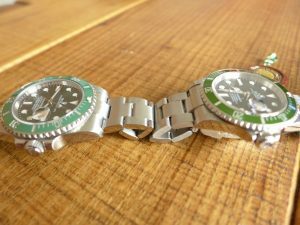 The bracelet was totally revamped the Rolex oyster bracelet on the left and the Rolex Oysterlock on the right, the right one has solid links not hollow which reduces the dreaded bracelet stretch that older models used to get with prolonged wrist action. 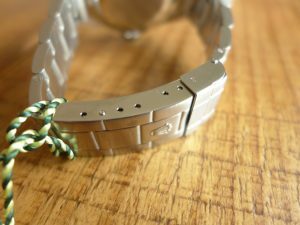 The other advantages a lot easier to adjust the strap to go over the divers suit, also you can adjust in small increments with ease due to your wrist swelling on morning or is very loose on waking. 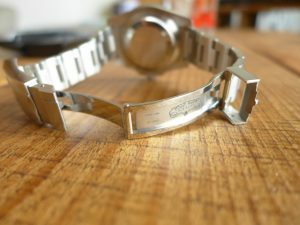 Finally the wrist shots overall both great watches to wear, the Kermit classic highly collectible now in today’s watch world, the Hulk is a perfect engineered and very robust modern classic than the Kermit that folk love or hate. 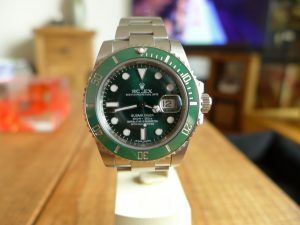 The Hulk the last year or so become very difficult to buy in Rolex Authorized dealers worldwide as most sports are now, its like the world has gone Rolex mad even thou prices increases are still coming thick and fast! 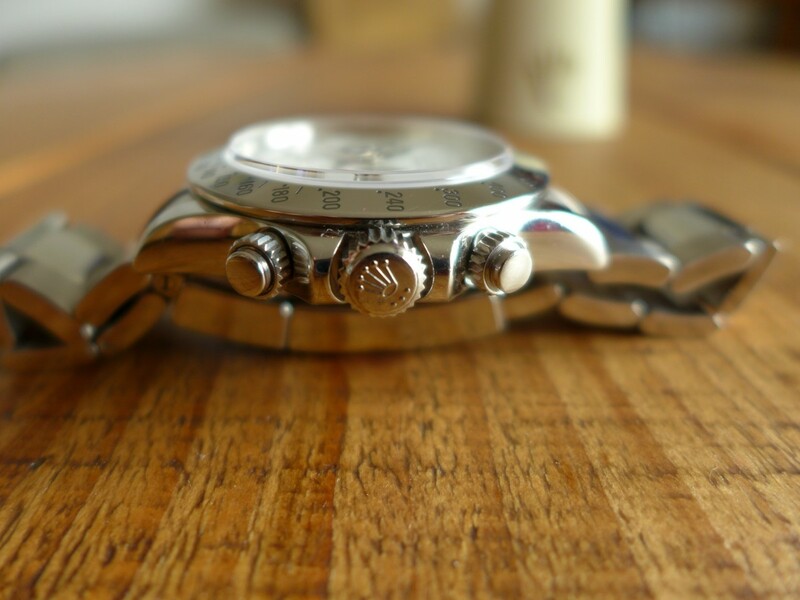 Thinking of selling your watch click on link and submit a form! Watch Buyer In Leeds.